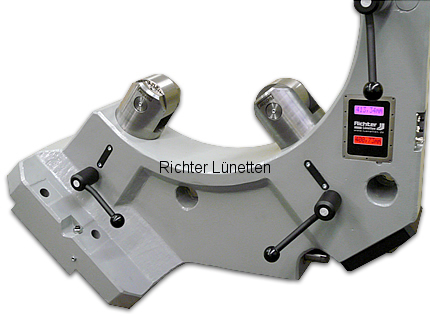 Change over time will be reduced to a minimum, because the work-piece can be centred quickly to the machine. In this picture you can see our electronic quill-display with colour-change. The colour-change shows the worker if the spindle has fully contact with the quill-nut and is able to handle the complete load.